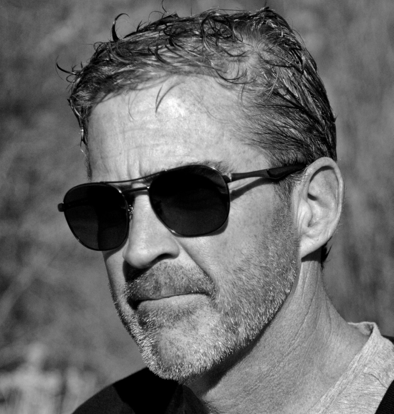 YA author Andrew Smith has enjoyed a meteoric rise since publishing his first book, GHOST MEDICINE, in September 2008. Since then he’s published a second book IN THE PATH OF FALLING OBJECTS, and has two more scheduled for publication. 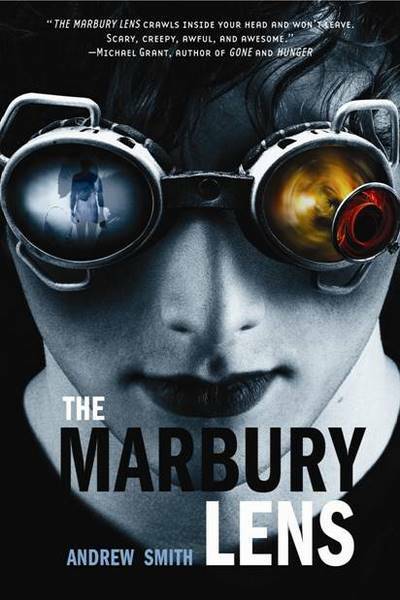 THE MARBURY LENS will be published in Fall 2010 and WINGER will hit shelves in Fall 2011. What’s your favorite possession/writing ritual? I’m not too into possessions, and I don’t know about the ritualistic aspect of writing, if there is one. I am fairly obsessive-compulsive, though, so I feel a deep sense of dread if, when I am writing a novel, something gets in the way of writing time. I don’t know what terrible thing would happen if, when writing a novel, I ever didn’t write something every day, because I NEVER take days off when working on something. But, I am certain I would probably die in a car crash or something if I ever did take a day off. Or my house would burn down. Or there would be an earthquake. On my bedside table, currently, I always keep a bottle of water, a clock, a candle, a wristwatch, a small statue of Ganesh, a pen and writing tablet, contact lens solution, Carmex, a book of poetry by Octavio Paz, my iPhone charger, and a Dodger baseball. My favorite time to write is in the morning, just after waking up, with lots of black coffee. Usually, this is at about 3:00 a.m.
Generally about two months. And I edit as I go, so the finished draft is clean enough to send to my agent. Sorry. Writer’s what??? I don’t let myself get it. If I feel jammed up, I know what I have to do… just get those words out onto the manuscript. If it’s slow going, I know I will get through it. Head down. Forge ahead. Get it out. Works every time. Besides, if I didn’t, something absolutely terrible would happen (see above). Those prospects alone are enough to make someone write. Heck, maybe I’m not so crazy, after all. My son, Trevin. He is why I finally got around to writing my first real novel to begin with. When he was about 9, he told me how he wanted to be a writer some day. All I had to do was think about how discouraging my own parents were when I said those same words as a child. I decided to never be like that to my boy. So, he did it. That is all. When I am in the avert-catastrophic-destruction-of-my-universe phase and am writing a novel, I like to get 1,500 “keeper words” at the end of the day. “Keeper words” have usually been rewritten at least 3 times, though. My first drafts are my final drafts. Not having a car accident, house fire, or earthquake. Those are really big rewards in my mind. On days when I do not have car accidents, house fires, or earthquakes, I will often drink a beer. Usually this happens around 4:00 p.m.
Its always nice to know how other writers handle their writer's block. Andrew, I will start psyching myself up, that on the days I don't write something bad will happen. That way perhaps, I will be more disciplined. Thanks Lia, for this post!